We are Peoria, Arizona's premier high dusting service. We remove dust from hard to reach areas. Call us today for a free high dusting quote! You work hard to keep your Peoria property looking good. But in Peoria with all the dirt, dust and seasonal bugs; these ailments are accumulating on the ceilings and other high areas at your property. Causing unsightly buildup that can be almost impossible for some to clean without special equipment. AZ Window Cleaners high dusting services in Peoria is the solution you have been looking for using safe and effective methods we can clean your ceilings, ledges and other hard to reach areas. Our Peoria high dusting is the process of accessing difficult to reach areas and removing built up dust, dirt and grime. 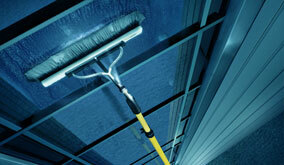 Some common areas for high dusting in Peoria are ceilings, duct work, rafters and window ledges. 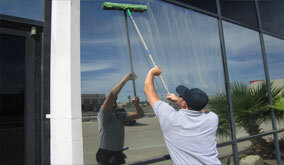 The professionals at AZ Window Cleaners are the recommended choice for high dusting in Peoria, AZ.